Tik Tok Agency – Colourful, loud and young! Have you ever heard of Tik Tok? Tik Tok is one of the new social networks that are currently in vogue with young people, especially the 8- to 18-year-olds are very present here. In more than 30 countries at number 1 of the download charts of apps and also in Europe there is a strong investment now. The target group of the platform is very, very young. A target group, which is increasingly relevant with increasing age, for us as advertisers. That’s why we also arrange contacts to bloggers from the next generation network. Consulting, ideas, implementation and production. We help you in all steps of TikTok marketing. What is the composition of the current Tik Tok community? How often are users in the app every day? A few facts and figures: In Germany, Tik Tok users spend an average of 39:00 minutes a day looking at new content. 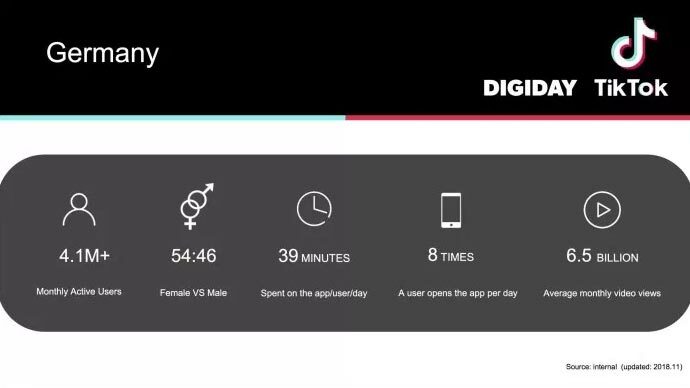 On average they open the TikTok App whole 8x a day, which is quite often compared to many other apps. The content in Tik Tok consists of small videos with a longer of 15 to 30 seconds. Originally it was all about singing songs (playback). Users can choose their favorite songs from millions of songs or current songs from the charts. Meanwhile, however, many comedy content, little stories and stories. The content production is very complex, because the videos always have to offer entertainment. Colourful, loud and young! With 6.5 billion views per month, Tik Tok has a great deal of relevance in Germany and a growing and aging audience. The users are 54% female and 46% male. Tik Tok is a bit like Instagram, only more colorful, louder and above all more moving. Even a glance at the start screen shows that it’s all about entertainment. While Instagram shows a stream with three images next to each other, Tik Tok shows three videos with animated previews – constant movement! The videos are mostly about well-known and current music songs, which are sung by young people (playback). Tik Tok has worked in partnership with the big music industries and offers almost all the songs there are. That’s why bloggers can use the songs for their videos for free. Others look at the little videos for amusement. Music is the great main component of Tik Tok. Besides music, there are also other small channels that gradually build up. If you don’t know Tik Tok yet, you might know Lisa and Lena, currently the most successful German bloggers. The two 15-year-old twins already have over 23 million followers across networks. They belong to the absolute elite and produce their own music with music video shooting in Los Angeles. This shows how powerful Tik Tok is with a young, very young target group.